It’s the Last of April and day number 120 of 2013. 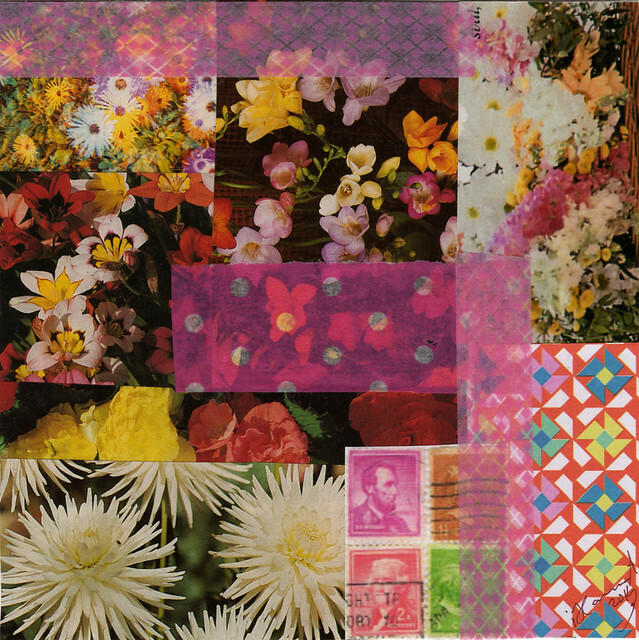 I guess that means I’m way over a hundred collages this year. Amazing and good! 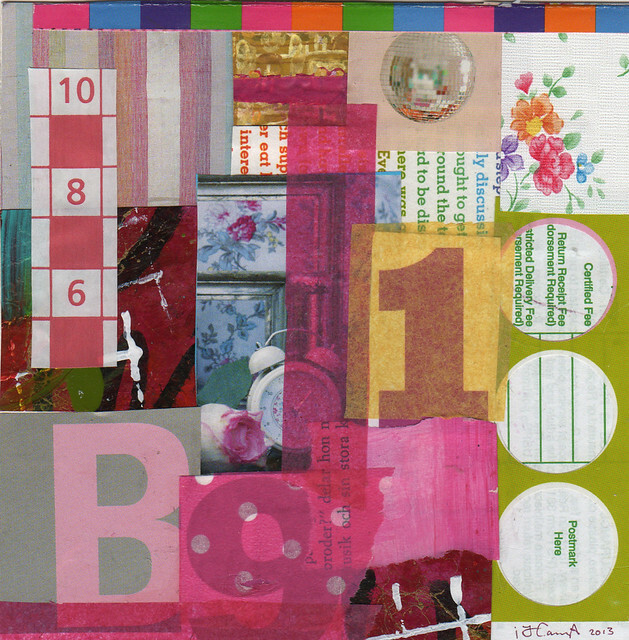 Today I’ve created six new collages for project 365 and I still enjoy making them! A whole lot! I have picked flowers as a theme this time, as I’m sure you will see when you look through them. 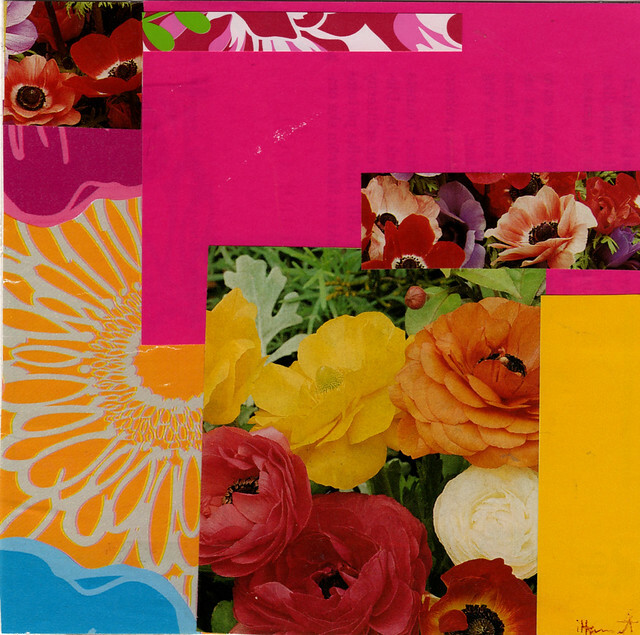 I would love to know which one is your favorite of these seven collages – and what it is about that collage that you like. Let me know in the comments. Thanks! Wishing you a very beautiful Last of April and a Happy Glue it-Day! 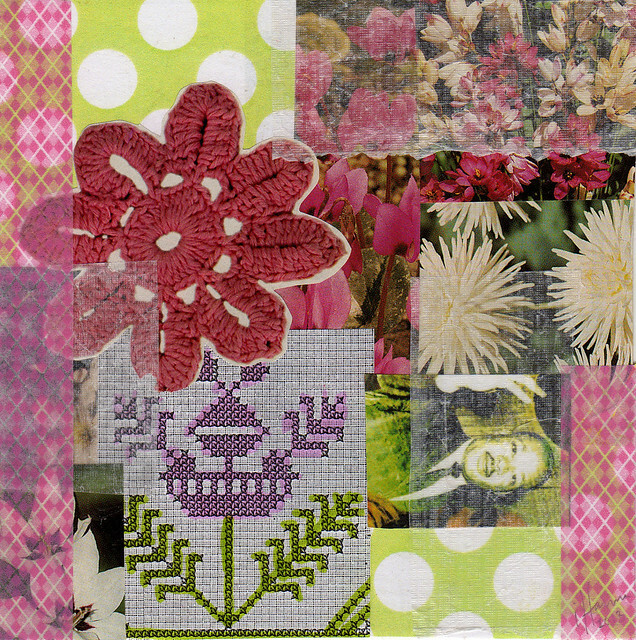 This entry was posted in Collage and tagged 365in2013, collage artwork, flower, glue it tuesday, grid. Bookmark the permalink. Great use of postage. Happy GIT! these are all great hanna. i like the second one, happy birthday, best. it is bright and colorful and just jumps at you. it has lots of color and pattern but the eye is not lost focusing on small items. have a great day. I really like Count on Me. I could say it was the vertical strips or numbers or colours, but really it is all if that plus that gut feeling of “I love that” when I first saw it. :) Not a very helpful answer I know. Gorgeous as usual! 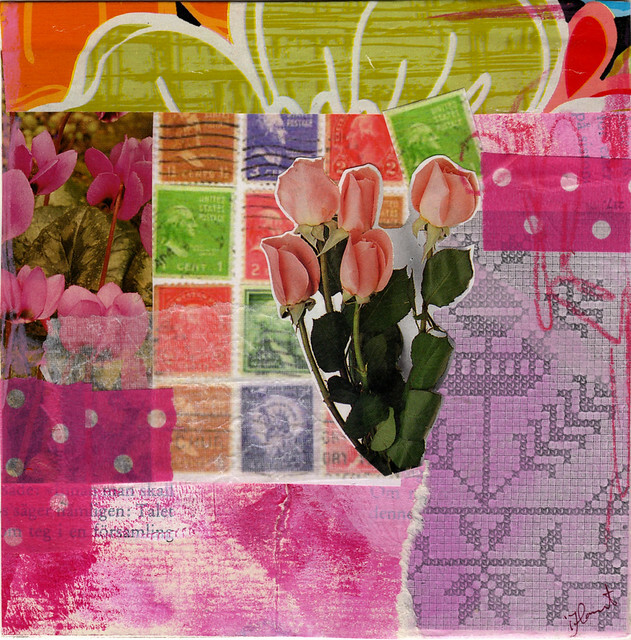 I love your use of large and small patterns…gives the collages such depth! Count on Me!! Love the typography mixed in there! I like best Count on Me and Flower Peek. I like colour combinations and compositions. I love them all but these two somehow touch me. Despite the flower theme running throughout they have all turned out so wonderfully unique! I love the first one though…it’s that mirror ball! So fun. Another great week! Love your use of colors! How many times have I said that you rock? I’m not saying it again, Hanna! That’s it. This is the last time. 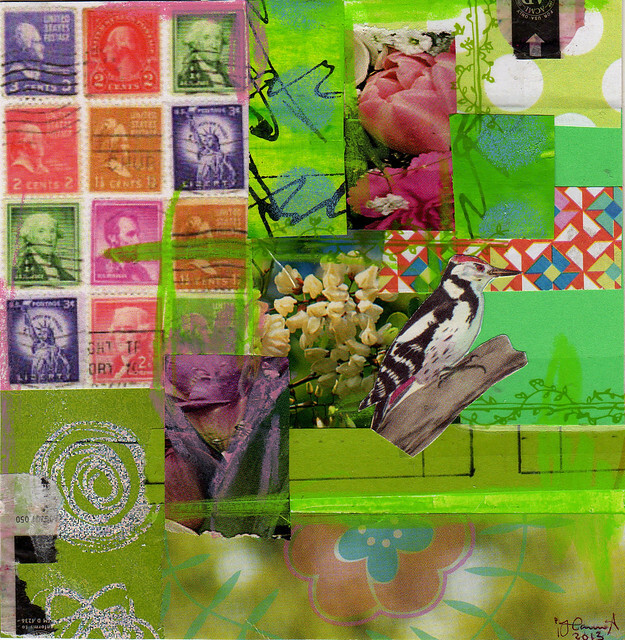 I am loving collaging year. LOVE. 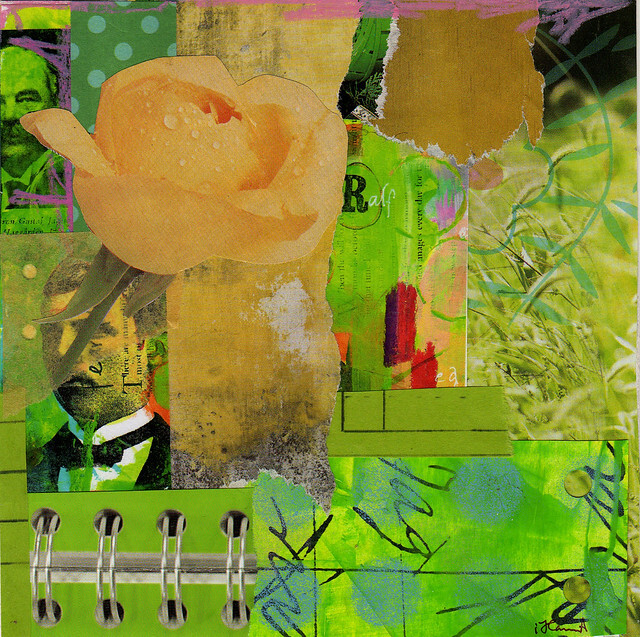 Journaling year was nice, but now I am finding out why people love the act of collage and I’m looking more at classic collage masters. It’s a great practice, isn’t it? May I say that my favorites here are: Count On Me and Flower Peek ? Yes. Not the last one is nice. There is something special about Not the Last One. The spirals on the bottom left gives the page much depth. I love them all.